Agricultural Development: What is Ag Consulting? The importance of agriculture is vastly underestimated and oftentimes taken for granted. Agriculture is the industry that is responsible for producing all the food we eat, whether it be plant or animal based, and also other desirable products such as milk. When you go to the grocery store, you have all of the food you could ever want available to you. People don’t often think about how their food got there, they just know it’s there. Without the ag industry, the world would be in a lot of trouble, to say that least. Being involved in agricultural projects can often be overwhelming, though — especially if you did not grow up on a farm or ranch. We have a lot of respect for those brave and passionate enough to venture into the world of agriculture because it is certainly a lot more complicated than one might think. That’s why here at AG PROfessionals, we offer ag consulting services for those who want to break into the agricultural world (or are already in it) and have the best chance of success. Ag consultants, simply put, are just people who want to see your dairy farm, ranch, growing operation, or other agricultural businesses succeed. Ag consultants are knowledgeable experts who have often been in the industry for years and seen many ag projects fail and thrive. Ag consulting professionals are experts with agricultural operations that raise environmental concerns, such as Concentrated Animal Feeding Operations (CAFOs). We make sure our ag consulting experts empower you with the knowledge you need to meet all environmental regulations set for agricultural businesses. Properly managing your environmental footprint can save you headaches down the road, and is your responsibility as a business owner. When browsing for dairy farms for sale, people don’t always know what they are getting into. There are a number of permits, zoning expectations, and other governmental red tape obstacles to navigate through. Luckily, you don’t have to go through the agricultural development process on your own. Ag consultants are pros at knowing how to navigate all of the zoning and permit requirements so that you don’t have to be. Like with any business, it’s important to have a well thought out gameplan. Whether you are new to the ag industry, or you’ve been in a while but could use some help, an ag consultant can help. Ag consulting experts can access your overhead costs, create a viable financial plan, and change your operations to be as efficient as possible while still maintaining the utmost quality. 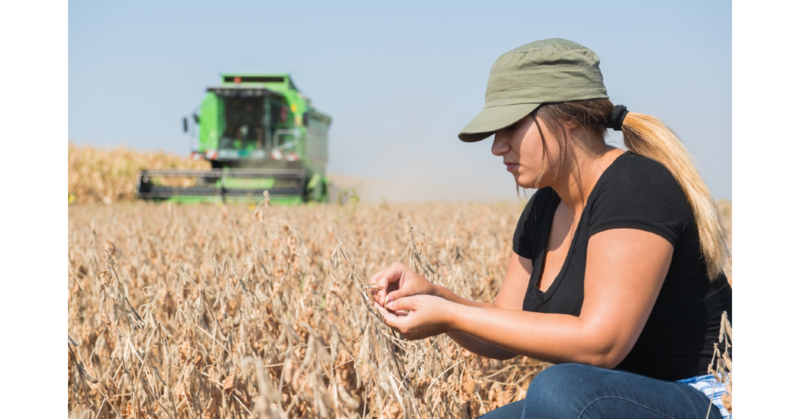 While agricultural consulting for agricultural development includes many more job aspects than those listed above, those are some of the main important services that ag consulting experts offer. For any questions or for help with your agricultural development, contact AG PROfessionals today. We offer ag consulting services, ag real estate, dairies for sale, ag surveying, ag engineering, environmental services, and more!